To mark the centennial of the Lincoln Highway, Dan Libman rode his bike along the road through Illinois and recorded his recollections for a 3-part radio series. “Pedaling Lincoln Highway” aired this week on the university’s radio station WNIJ 89.5 but you can listen too. 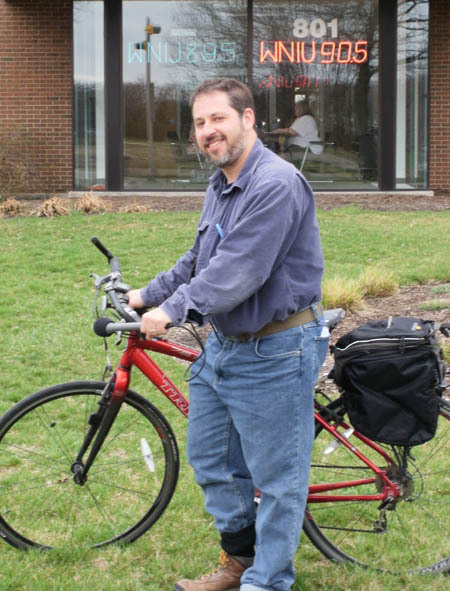 Libman, an avid cyclist and professor at Northern Illinois University faculty DeKalb says traveling by bike put him at the speed of early automobiles. Read along here (also includes an audio player): Intro, 1, 2, 3. Or if you just want to listen: Intro, 1, 2, 3. 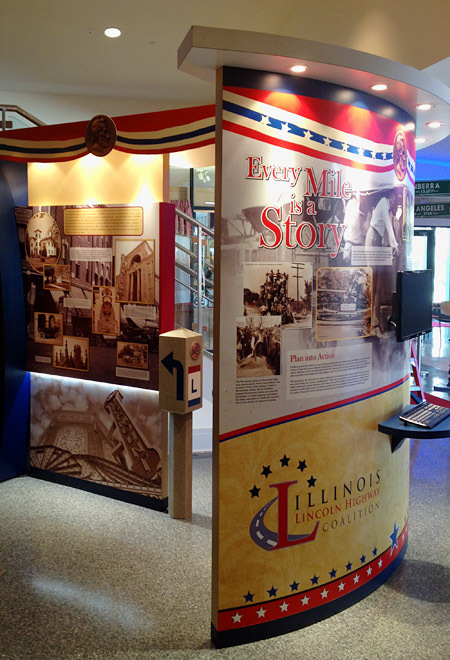 The newest project by Illinois Lincoln Highway Coalition is not a mural or gazebo, it’s an exhibit at the Joliet Area Historical Museum in Joliet, Illinois. The unveiling coincided with the first-ever Illinois Scenic Byway Week, recently designated by Governor Quinn. 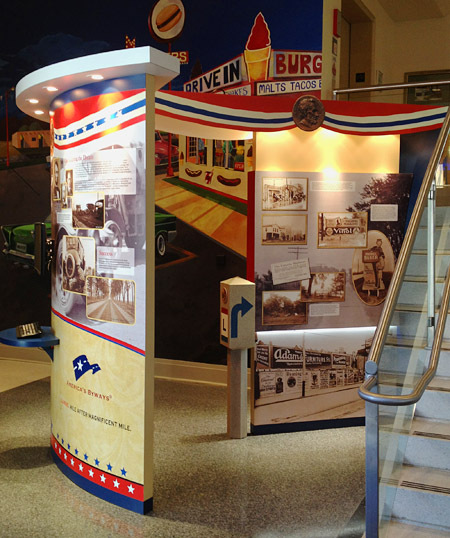 The new exhibit offers striking graphics and vintage photos complimented by stories that convey the Lincoln Highway’s impact on America and its increasingly mobile society. A detailed map and a replica 1928 Lincoln Highway marker help visitors find the route on paper and on their next rip on the road. The Joliet Area Historical Museum is a popular jumping-off point for followers of Route 66 heading west from Chicago to the Pacific coast. 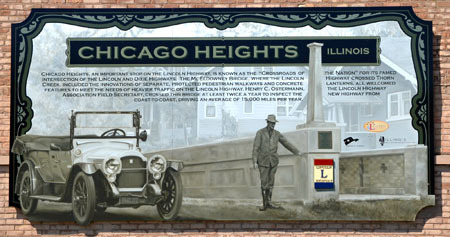 A new mural was placed in Batavia, Illinois, today as part of a series sponsored by the Illinois Lincoln Highway Coalition. The large works of public art stretch along the 179-mile Illinois byway corridor, in over two dozen communities. 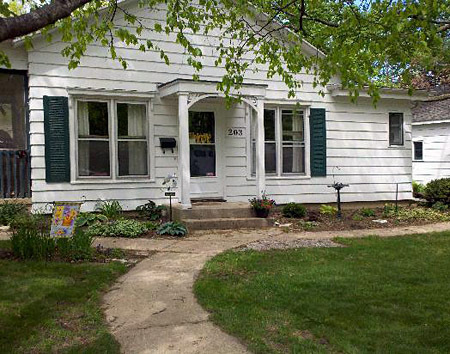 The latest mural is on the Batavia Floral building at 109 South Batavia Avenue. 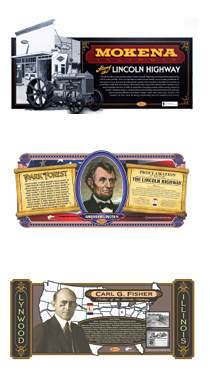 Artist Jay Allen, owner of ShawCraft Sign Company, created the interpretive mural series. 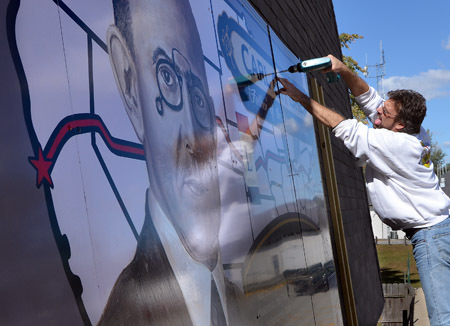 The Illinois Lincoln Highway Coalition’s multi-site mural project showcases the history of the early highway, bringing the intriguing stories into people’s lives so they can recognize its impact on American travel and the communities. 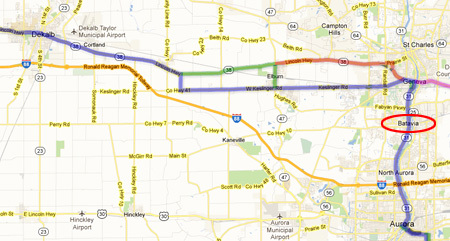 Visit drivelincolnhighway.com for more information on the Illinois Lincoln Highway, places to see and things to do, stories of the highway’s significance and history, or to download an Illinois Lincoln Highway Visitor Guide.